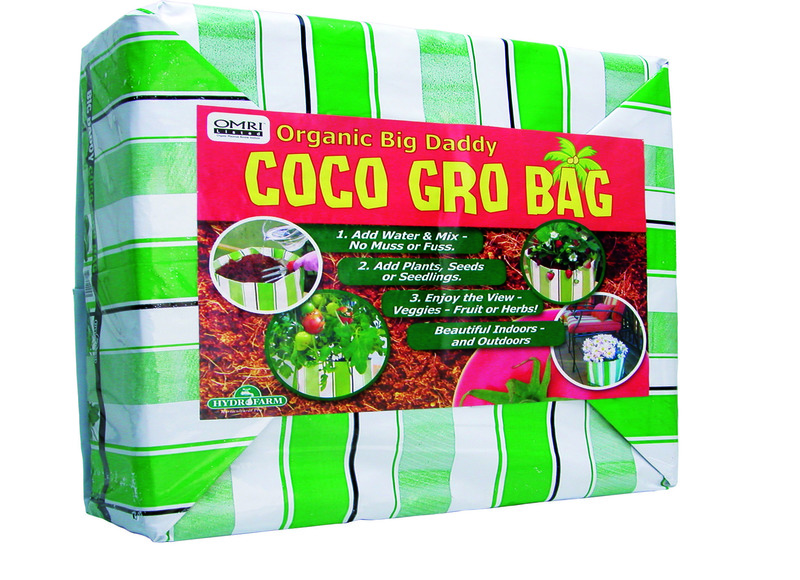 The Big Daddy organic CoCo Gro Bag offers a stylish way to “get growing.” Just add water and mix to promote growth for vegetables, herbs, fruit, and more. It is ideal for hydroponics systems. The mix expands to 0.5 cubic feet once watered. Add the Plant!t mix into your growing system and notice the CoCo difference.